As the U.S. continues to refuse an independent probe, Doctors Without Borders (MSF) on Thursday released its own damning report of the American military's bombing of the medical charity's Kunduz, Afghanistan hospital last month—describing patients burning to death in their beds and people shot by a circling plane while attempting to flee. The review (pdf), the first installment of an ongoing investigation, gives a harrowing, chronological account of the bombing, which took place while at least 105 patients were admitted, surgeries were ongoing, and people—including children—were immobilized in the intensive care unit. The report confirms that 149 MSF staff and one International Committee of the Red Cross delegate were in the hospital compound during the time of the attack. What's more, the investigation finds that MSF was fully in control of the hospital at the time of the bombing, and its rules were in effect—including prohibitions against weapons. In addition, there was no combat “from or in the direct vicinity” of the hospital before the bombings. 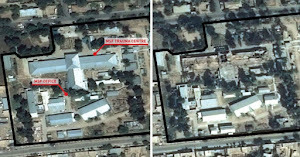 MSF based its findings on 60 debriefings with its national and international staff employed at the trauma center, email and telephone records, and before and after photographs of the hospital. The organization also reviewed internal and publicly-available information about the bombing that killed 13 staff members, 10 patients, and 7 people whose bodies were unrecognizable. 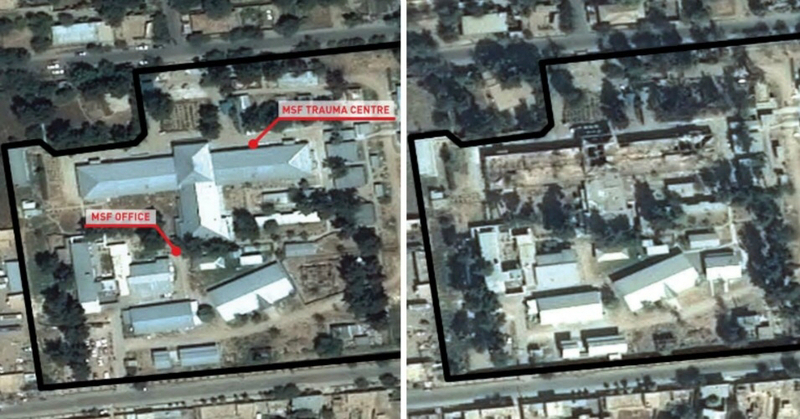 Due to an escalation in fighting, MSF on September 29 re-confirmed its GPS coordinates to the U.S. Department of Defense and Afghan Ministry of Interior and Defense and U.S. Army in Kabul—all of whom confirmed receipt, the report states. On Friday, October 2, before the bombings took place, MSF even placed its organizational flags on the roof of the hospital, to ensure its identity would not be mistaken. But at roughly 2:00 AM, the U.S. military unleashed a horrific bombing on the hospital, which lasted at least an hour. During this time, MSF made at least 17 calls to Afghan, U.S., and United Nations officials in attempt to stop the bombings, according to a log displayed in the report. In the immediate aftermath of the bombing, surviving MSF staff fought for the lives of their colleagues and patients, inserting chest drains, halting severe bleeding, and treating shock—with at least two MSF staff dying on the operating table.